SALE EXTENDED THRU August 31, 2011. Clazzio has begun stocking more custom colors in this Country and Sparks Scion now has many PVC sets in stock as well. Customized Cross Stitched covers are available from Clazzio and those will be shipped directly from Japan. Pictures will be posted soon. New “Special Sale Pricing” is now available though private messages on this forum, or through emails at [email protected] You may also reach us at 866-249-3607 (8:30-5:30 Eastern time). 80% of the personnel in our Internet Parts Department at TRDSPARKS.com have installed these on their vehicles, including myself. 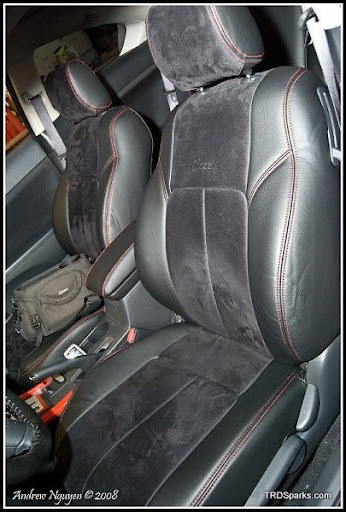 All of us absolutely love the feel and look of these custom seat covers. AFTERMARKET PARTS DON'T VOID YOUR WARRANTY! Last edited by Sparks_Scion_TRD_Parts; 04-17-2011 at 11:19 AM. The 2011 xb set does not come with the armrest cover. Installed my set last weekend and armrest cover was not in the box. Those look awesome and the price is great.....black on black with red stitching for me! pm me a price please for a basic set for an 11xb, is there a console cover available for this model? ive seen these installed and is definately on my list! The 11xb set doesn't come with center console cover. Spoke with Spencer from beangarage and he said they don't have one. coss stitched the only way to fly ! I have to call them today.... looking at the pictures of the TC interior. 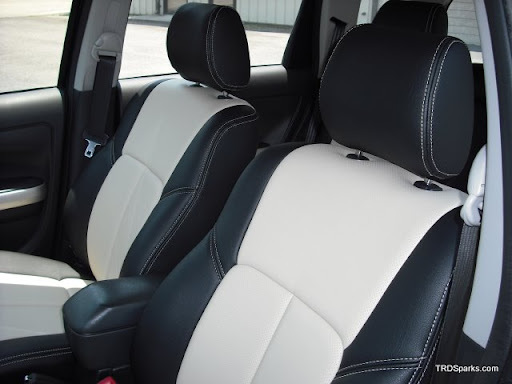 The center armrest looks simular to the 2011 XB. I will call for fitment and come back with a response. Time to do some R & D.... Yeah! I just installed the Blk/Blk/RED kit and it would be great to have the armrest wrapped too.